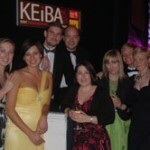 HolidayExtras.com was named in the top three for the Employer of the Year category at the Kent Excellence in Business Awards (KEiBA) last week. All shortlisted companies attended a gala dinner and awards presentation on Thursday 30 June at the Leas Cliff Hall, Folkestone in Kent. 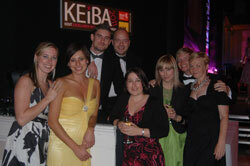 Staged and produced jointly by Kent County Council and the Kent Messenger Group to recognise and reward excellence in Kent’s businesses, the KEiBAs entail a rigorous judging process. A record 212 companies entered this year’s awards across 12 categories.